Australasia is a region of Oceania comprising Australia, New Zealand, the island of New Guinea, and neighbouring islands in the Pacific Ocean. The term was coined by Charles de Brosses in Histoire des navigations aux terres australes (1756). He derived it from the Latin for “south of Asia” and differentiated the area from Polynesia (to the east) and the southeast Pacific. It is also distinct from Micronesia (to the northeast). 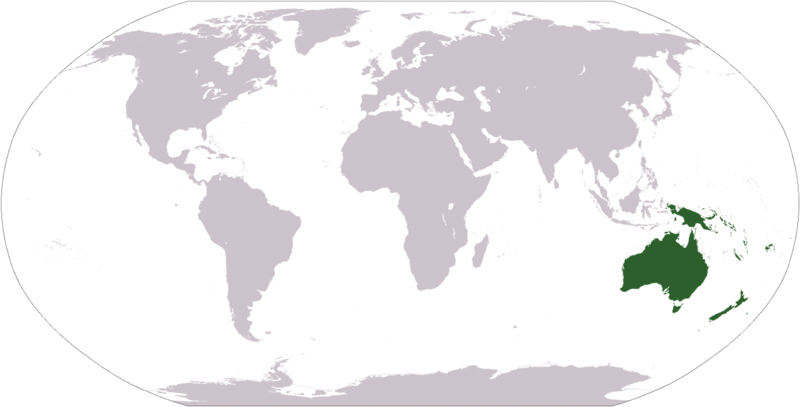 Australasia sits on the Indo-Australian Plate, together with India.